Charles Thompson is the President of Specialized 247 Property Management, a Dallas-based firm specializing in asset management for single family rental home portfolios. He leads the company’s long-term strategic direction while maintaining deep involvement in ongoing company operations and acquisitions. 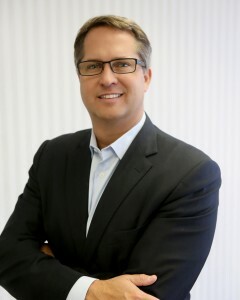 With 27 years of experience in turnaround management, strategy-based consulting, and implementing best-practice operational models, within industry-leading brands, Mr. Thompson has built Specialized into an industry leader across multiple markets with over $600M in assets under management. Prior to Specialized, Mr. Thompson was the Chief Operating Officer for Property Management Business Solutions based in Salt Lake City. He was responsible for the firm’s strategy, sales, and all operations, expanding the operation from 78 to 240 offices and growing assets under management from $2B to $7B. He also headed the development of a full-spectrum suite of operational, marketing, and financial systems to better support the 240+ offices, resulting in a 29%+ topline growth year over year. Prior to his role with PMBS, Mr. Thompson served ten years as president of Chartwell Global Solutions, an international manufacturing and distribution company. He led the development and launch of a new division while opening new markets in Mexico, Canada and Asia, driving a 400% increase in top-line revenues. He worked abroad with supply chain partners in China, India, and the UK, handling over $200 million in transactions. Mr. Thompson’s early career included roles within several Fortune 500 companies emphasizing business unit strategy, operational improvement and organizational and process redesign. Mr. Thompson has served on the Board of Directors for Plains Capital Bank, Texas Economic Research Board, Central Ministries, and Property Management Business Solutions. He holds an M.B.A. from Northwestern Kellogg School of Management and a B.A. from Texas Tech University. He is an avid snow skier and golfer and enjoys spending time with his wife and three boys.